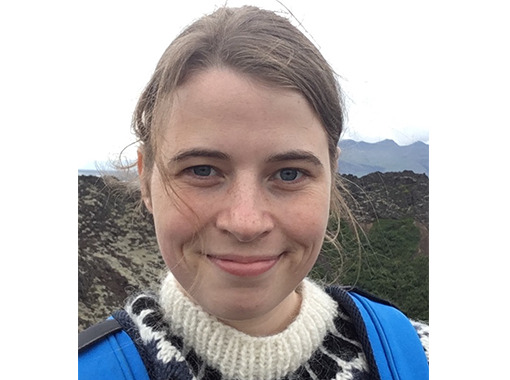 Advisor: Dr. Guðfinna Aðalgeirsdóttir, Professor at the Faculty of Earth Sciences, University of Iceland. Finnur Pálsson, Engineer at the Institute of Earth Sciences, University of Iceland. Sverrir Guðmundsson, water supplies manager at Veitur, Iceland. Dr. Peter L. Langen, climate scientist at the Danish Meteorological Institute. Dr. Helgi Björnsson, Emeritus at the Institute of Earth Sciences, University of Iceland. The aim of this study is to apply regional climate models (RCMs) to simulate the the near-past and future evolution of Vatnajökull, the largest ice cap in Iceland, and investigate the sensitivity of ablation to albedo and spring snow cover. The output of the RCM HIRHAM5 is first validated over Vatnajökull using available automatic weather station and mass balance observations, and the albedo parameterisation is improved by adding an ice albedo map based on MODIS observations. Although the ice albedo map improves the simulations, there is still an average overestimation of the albedo simulations over the ablation season due to an overestimation in the amount of snowfall and the lack of simulations of the effect of dust storms. As a result, the mean ablation over the melt season is generally underestimated compared to observations. However, the specific mass balance is well simulated by the model, which captures the trends in mass loss since the 1991-92 glaciological year. The overestimation of the accumulation in HIRHAM5 was suspected to be partly due to the hydrostatic approximation used in the atmospheric model, and experiments forcing the well-validated snow pack model from HIRHAM5 with meteorological parameters from other climate models were therefore conducted. The snow pack model simulates the surface energy balance, the total melt, and subsurface processes like melt percolation and refreezing. The meteorological forcing from the non-hydrostatic (i.e. solves the vertical momentum equation) numerical weather prediction model (NWP) HARMONIE-AROME is shown to provide improved simulation over Vatnajökull, in particular due to improvements in the simulation of accumulation. The HARMONIE-AROME forced model is used to simulate the runoff from 1980-2015 and estimate the sensitivity of runoff to variations in spring snow thickness. It is found that the runoff is much more sensitive to changes in the summer weather overall, although the north-facing outlet glaciers Brúarjökull and Dyngjujökull show a large sensitivity to spring snow thickness. The effect of the ice albedo on the runoff from 1980-2015 is also investigated, with 14% of the runoff from Vatnajökull simulated to be derived from melting of exposed ice, and 27% of the runoff from Brúarjökull. The future evolution of the ice cap is simulated by forcing the ice flow model PISM with simulated mass balance fields. The mass balance is simulated by the HIRHAM5 snow pack model, but with different meteorological forcing. For the reanalysis period (1980-2016), HARMONIE-AROME meteorological reanalysis forcing is used, and from 2017-2100 mass balance anomaly fields (1990-2010 reference period) from HIRHAM5 forced by EC-EARTH is used under the representative concentration pathway (RCP) 4.5 and 8.5 scenarios. From 2100-2300, the 2081-2100 climate is repeated. The simulations show that the ice cap loses 45% of its volume and 25% of its area by 2300, under the RCP 4.5 scenario and 85% of its volume and 65% of its area in the RCP 8.5 scenario. Using available meteorological forcing from the Coordinated Regional Downscaling Experiment (CORDEX) simulations for the same period, a wide range of geometries are derived: 50-95% decrease in volume and 25-80% decrease in area. Louise Steffensen Schmidt was born in 1988 and grew up near Copenhagen, Denmark. She has a B.Sc. and M.Sc. in Physics from the Niels Bohr Institute, University of Copenhagen, where she studied from 2009-2014. In 2015 she started her doctoral studies at the University of Iceland.